At the center of Our Lord's controversies with Israel's religious leaders is the issue of testing God. At various times, they test Jesus, trying to trap Him in a dispute so that one side or the other can accuse Him. To this end they bring Him the woman caught in adultery (Jn 8:1-11). Likewise they question Him, in quick succession, on taxes, marriage, and the greatest commandment (Mt 22:15-40). "Why are you testing me, you hypocrites?" Jesus asks (Mt 22:18). His words resemble His severe rebuke of Satan: “Again it is written, ‘You shall not put the Lord, your God, to the test,” (Mt 4:7). Indeed, Scripture condemns few things as strongly as putting God to the test. From the Israelites at Massah (cf. 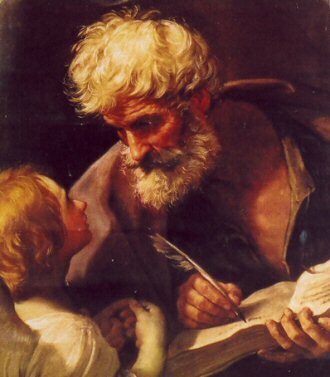 Dt 6:16) to Zechariah in the Temple (cf. Lk 1:18), to test God is to walk in the path of the devil, the "accuser" (Rev 12:10). And yet we also have praiseworthy accounts of people testing God and receiving a reward: Abraham famously haggles with Him (cf. Gen 18:16-33); Moses demands His credentials (Ex 3:11-14); Gideon requires the Lord to pass the fleece test, not once but twice (Jdg 6:33-40); and Our Lady herself questions the divine messenger: “How can this be, since I have no relations with a man?” (Lk 1:34). The seeming contradiction is in the Gospels. Our Lord rebukes the crowds for insisting on a sign (cf. Lk 11:29) and then rebukes others for not believing the signs He did perform (cf. Jn 10:32, 38). So, which is it? Should we seek signs or not? Why is Abraham heard and Israel rebuked, Zechariah punished and Our Lady rewarded? May we test Him or not? We get direction on this point from the epithet Our Lord casts at the religious leaders: hypocrites (cf. Mt 15:7; 22:13; 23:15, 23, 25). The difference between Abraham and the Pharisees, between Our Lady’s questions and Lucifer’s, lies in that one powerful word. There are the sincere, who question God out of a desire to find and know Him. And then there are the hypocritical, who put God on trial to justify themselves. There is perhaps nothing worse than being called a hypocrite — except, of course, being called a hypocrite by the Son of God. Every sin involves some degree of division within the sinner. But hypocrisy divides a person most profoundly. It introduces disintegration into his very being — prompting him to lie, not about this or that thing, but about his very self. The hypocrite knowingly presents himself in one way so as to deceive others. Worse still, the hypocrite co-opts the truth in his deceit. He wraps himself in the mantle of integrity and goodness (hence the legal purity of the Pharisees) while simultaneously using it to accuse God. Thus, the devil quotes Scripture in the desert. The Pharisees quote Mosaic law against the woman caught in adultery. Others manipulate the truth about marriage, worship and love in order to test the Lord. They possess what some call "deceitful integrity" — an insistence on truth, but for wicked purposes. "Why are you testing me, you hypocrites?" It is not the questions themselves that offend Our Lord. It is the duplicity in the hearts of the questioners, the hypocrites. They ask not out of a sincere desire to know the truth but to prove themselves right … and God wrong. It offends because it reverses the proper order, making us the guardians of reality and calling on God to repent. It is a sinister fulfillment of the original false promise, "You will be like God," (Gen 3:5). Let us take care, then, how we ask our questions, avoiding hypocrisy that sets us up in judgment over God. But by all means, let us ask Him questions, because children often do that with their father. And let us test His promises by trusting in them, because He wants to prove Himself faithful. Let us imitate the questioning of the Virgin — “How can this be?” — which proceeds from faith, from a pure heart, and which seeks to know the truth so as to embrace it more.